8ft Round frame pad for 2.50 m garden trampoline. The frame pad is the essential component for maximum safety on your trampoline. It protects users from the springs if they fall of the jumping mat. If your frame pad no longer ensures your safety, your should not hesitate to replace it. This frame pad is adapted to trampolines of 2.50 m in diameter with springs of 180 mm. 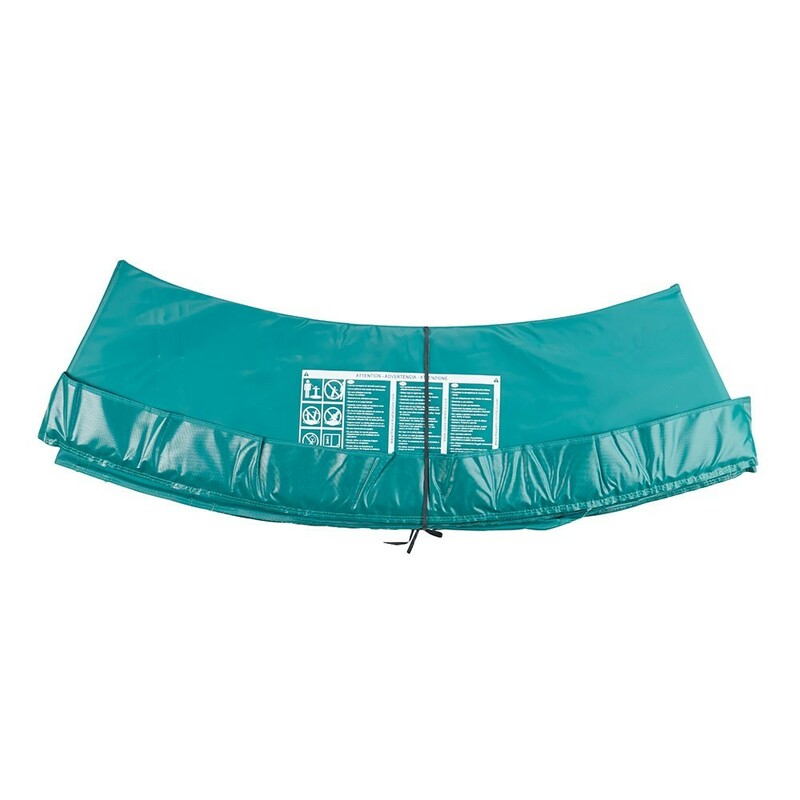 - This frame pad is adapted to trampolines of 2.50 m in diameter whatever the brand. The springs should be no longer than 180 mm in length. To measure your trampoline precisely, measure it from edge to edge. 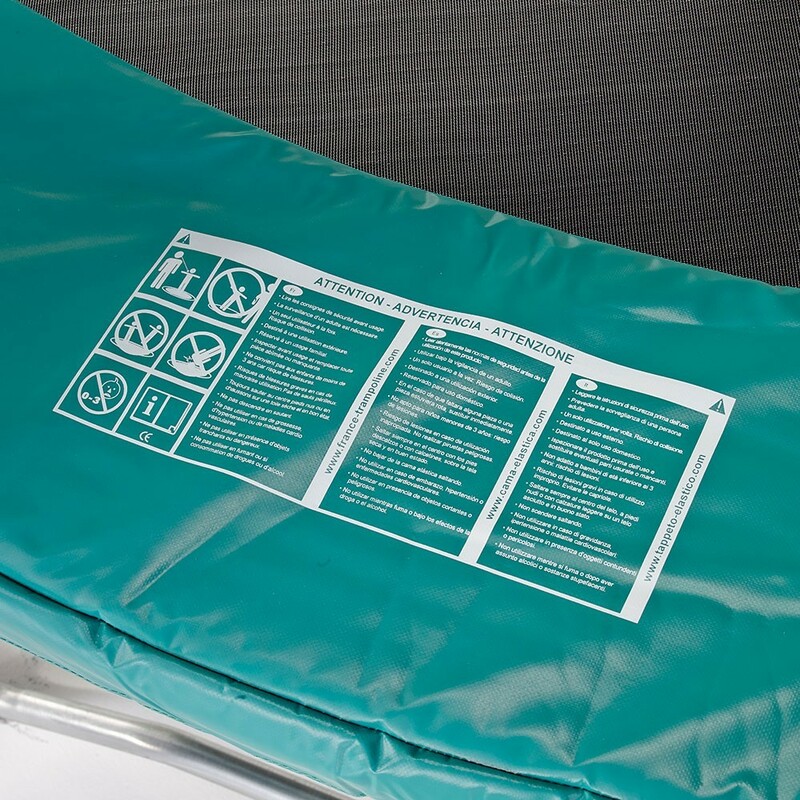 - France Trampoline's aim is to offer you quality spare parts that will ensure your safety for years to come. We use a monobloc EPE foam (expanded polyethylene) which is 25 mm thick and can withstand repeated shocks. 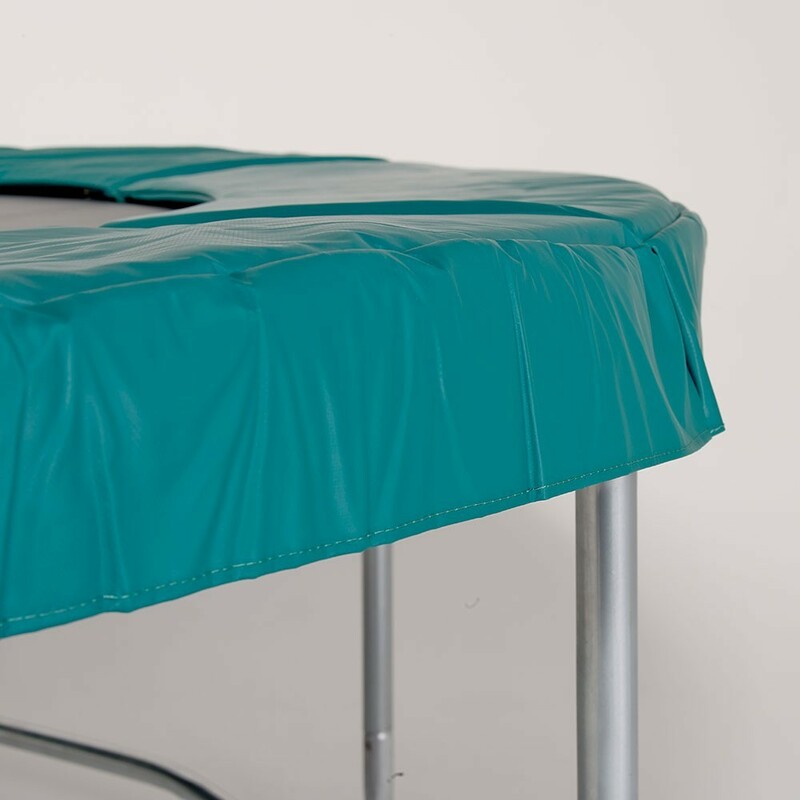 - We chose to use this monobloc foam instead of multiple small layers of foam as this makes the pad more flexible and improves its shock-resistance. 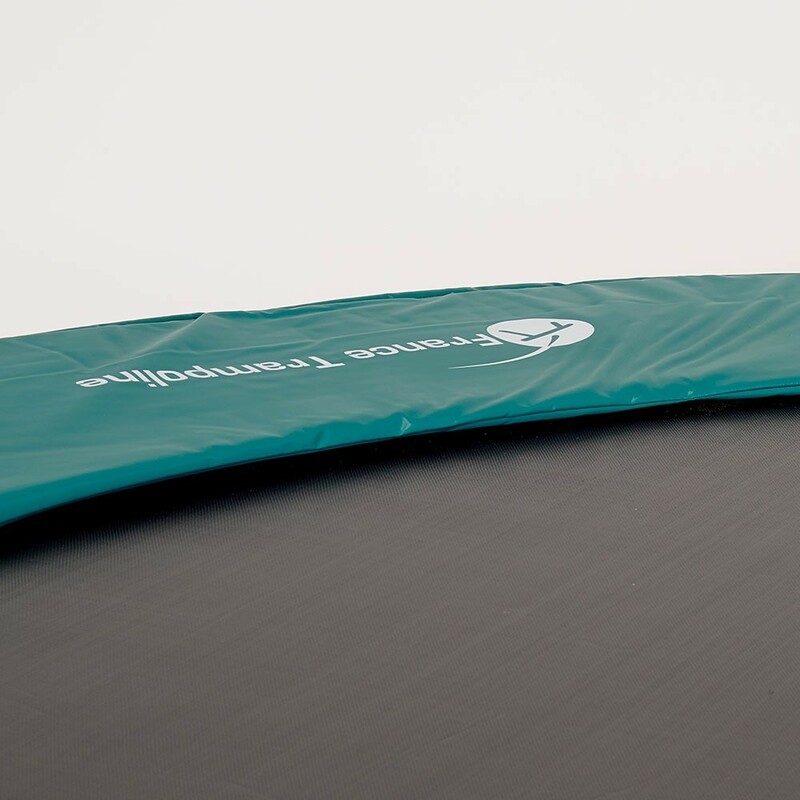 - Your 250 frame pad is covered in a technical fabric covered in PVC, with an ultra resistant density of 650 g/m² and a thickness of 0.55 mm. This makes it incredibly tear-proof. - Your frame pad will be held in place with a fixation system using steel eyelets and elastic straps. 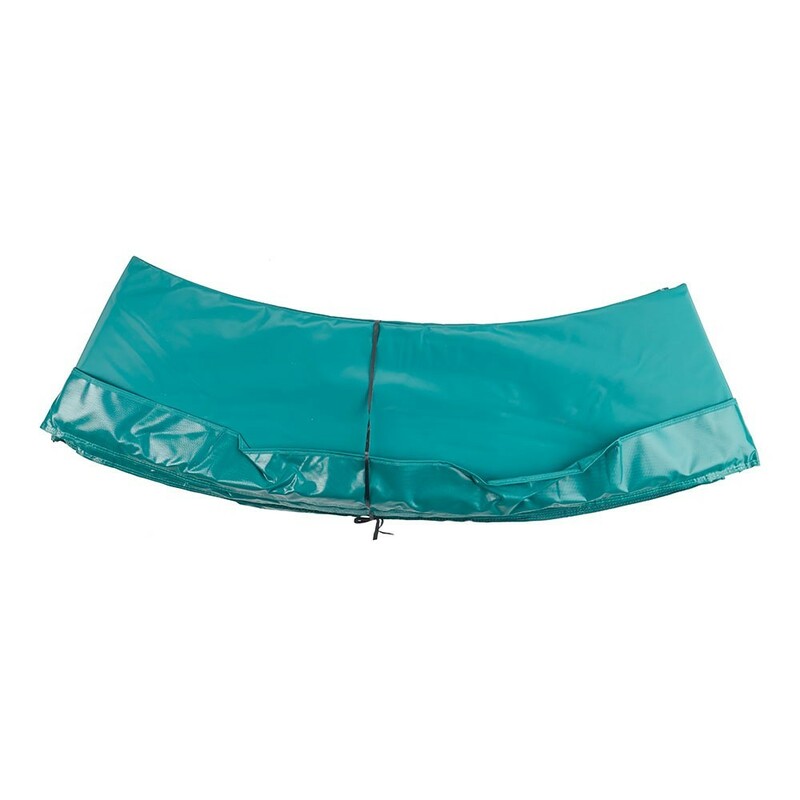 The elastic straps delivered with the frame pad, are fixed all the way around the steel framework of your trampoline, leaving space for the frame pad to move when the trampoline is in use to avoid any friction.